In order to get the dream kitchen space that you truly want, it is important that you work closely with a professional plumber. Trident Plumbing and Drain Cleaning is the answer you need for quality results. We are the experts when it comes to kitchen plumbing in Smokey Point and the surrounding areas. When you have a certain kitchen design in mind, it may include moving around your appliances to get the right finished space. Replacing your kitchen appliances or will call for an expert touch and vast knowledge of the best way to go about it. We will be glad to come out to your location so that we can work on helping with your appliance reorganization. There can be times when you know you need a change in your kitchen but you are not quite sure how to get the result you are looking for. Our professional staff will understand kitchen plumbing in Smokey Point and have suggestions on renovating or helping to create a more efficient kitchen space. There is nothing worse than realizing that you have some water damage that you need to address. Forgetting to turn off the water can cause damage to your structural design and the materials. We will work with you to make sure that everything is done to keep water damage from taking place. Regardless of your kitchen plumbing needs, you can trust in our level of expertise. Our trained technicians will make sure that your piping is in good condition and that we help you to have the renovation results that you deserve for a lasting investment in your home. 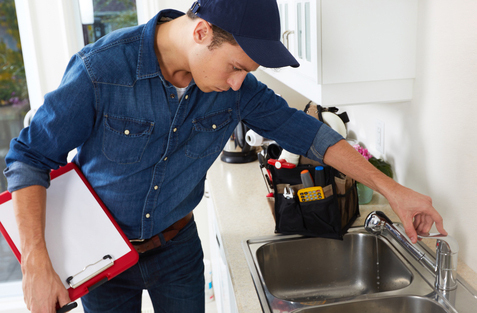 When it comes to kitchen plumbing in Smokey Point, you need it done right the first time. Call Trident Plumbing and Drain Cleaning at (425) 321-6043 today!